The profile ES ERP/EaaS system gives your mid-sized or small business the enterprise-level software tools you need to address all four, and to manage every aspect of your business. Easier. Faster. More economically. More efficiently. Yet without the high cost of acquisition. Without the complex, expensive and lengthy implementation cycle required of traditional enterprise-level systems. What Is profile ES ERP? The profile ES sysem is a powerful new Enterprise as a Service (EaaS) solution that delivers ERP – Enterprise Resource Planning. It is scalable for any size business. It features a complete set of business tools. It is web enhanced and backed up by servers at each corporate location. The profile ES service is an integrated suite of software that combines SaaS, PaaS and IaaS into a seamless package to serve your entire enterprise: EaaS -- Enterprise as a Service. What That Means to You! You may already be using SaaS (Software as a Service). It delivers software to your employees from the cloud, such as productivity software like Office 365. SaaS was the first popular cloud-based alternative that allowed companies to subscribe to software rather than buying multiple software licenses and installing applications on each user's machine. PaaS (Platform as a Service) followed quickly. It provides managed servers and connectivity from the cloud. It's often used for archival purposes, backup and off-site software development. IaaS (Infrastructure as a Service) is yet another business model. An IaaS provider owns the hardware and infrastructure, and also handles load balancing, backup and security for clients who don't want to invest in and handle those issues themselves. (ref) The profile ES system is a modular, flexible ERP and frontend solution that incorporates time-proven client-server technology with these latest cloud computing services. As an EaaS application, profile ES delivers a complete ERP business solution that is scalable and secure at a very low cost. It provides managed servers (PaaS), managed software (SaaS) and managed data replication with automated backup (IaaS). profile ES = EaaS. You can immediately begin using sophisticated ERP tools major corporations rely on, but without their high cost and complex implementation. The components of profile ES are seamlessly integrated. Marketing, Finance, Operations and HR – everything from ecommerce to cash register checkout to field sales support and field service dispatch. 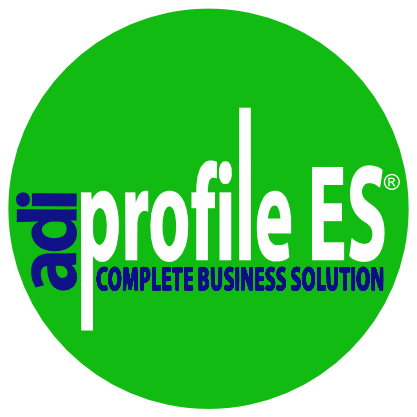 The profile ES ERP/EaaS system is your compete business solution. The profile ES Enterprise as a Service (EaaS) architecture provides access to your corporate systems from any worldwide location with Internet connectivity. However, profile ES is “hardened” against Internet outages because all real-time data is replicated on-site at each of your corporate locations. This unique design distinguishes profile ES from other SaaS ERP solutions because it allows your business to continue operating even when your internet connection is de​graded or severed. Windows PC's work with an on-premises Local Cloud that houses the core ERP system. If you have multiple locations, a Local Cloud supports each one. It is also distinguished from other SaaS systems in that it also provides Platform and Infrastructure services making it a fully functional EaaS. Windows PC's connect to your Local Cloud using proven client-server architecture. Your Local Clouds connect with an off-premises Private Cloud that backs up and synchronizes each Local Cloud. This assures every user works with up-to-date, real-time information. Your users have access to every aspect of the business, according to your security policies, from any location where you have Internet connectivity. In case of interruptions to your Internet connection, business continues as usual. Users simply work from the Local Cloud supporting their location. When connectivity is restored, each Local Cloud is synchronized back to the Private Cloud, bringing all information up to date. A Public Cloud provides web services that support your company website, ecommerce services and related functions. If you want a more detailed report of the profile ES ERP SaaS please fill out the form below.